Late in 1938, the German Navy Supreme Command commissioned a report into the combat effectiveness of its airborne divisions. As a result of its findings, the German High Command instigated a major construction program for planes with a specifically maritime role: carrier-borne, reconnaissance, mine laying and most importantly, long-range units were all developed. In this volume of the outstanding Luftwaffe at War series, Manfred Griehl showcases a photo-history of the development of the Kriegsmarine airborne capability from the early Condor missions to the introduction of Me 262 A-1a jet fighters in 1944. 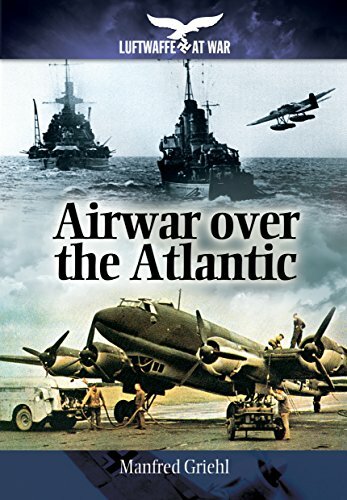 More than a hundred rarely seen pictures illustrate the gradual turning of the tide against Germany in the war for the skies over the Atlantic: as the German war machine struggled to match demand for aircraft, so the pilots attempting to control crucial supply routes struggled to compete with mounting allied technical and numerical superiority. MANFRED GRIEHL was a respected historian with a unique photographic archive, specializing in Luftwaffe operations of World War II. His many publications include X-Planes: German Luftwaffe Prototypes 1930-1945 and Luftwaffe over America: The Secret Plans to Bomb the United States in World War II.